KUCHING: Ba Kelalan assemblyman Baru Bian is shocked that a primary school in Lawas, SK Long Sebangang, is still facing water supply problem. According to Baru, who visited the school recently, water supply is a big problem in the school, as the school, which is located less than 10 kilometres away from Lawas town, is not connected to the main pipe. “They have new water pipes connecting Long Sebangang to Lawas yet the school, which is a new primary school that was relocated from the old location in the 1990s, is not connected to the main pipe,” he told a press conference here yesterday. Baru, who is state PKR chairman, said water tanks are available in the school but are not filled with water. He said students staying in the temporary hostel in the school were afraid to go to the toilet located far away at night. Besides SK Long Sebangang, Baru said the teachers and students in SK Long Tuma, also in Lawas, are hoping that the government would upgrade the school’s wiring system to three-phase. He said the students and teachers in the school were very worried that the whole system might not be able to accommodate the flow of electricity current, adding that they had even written to the Education Department and were still waiting for response. After visiting many schools in the interior, Baru said the common disadvantage faced by the schools was their computer rooms were not installed with air conditioners. 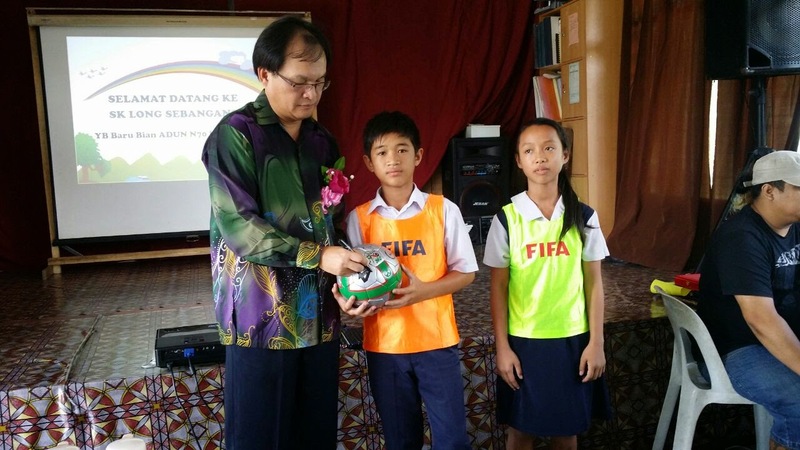 During his visit to the schools, Baru said he donated footballs and jerseys to the students, besides highlighting the issue of drug abuse in the area to the people.